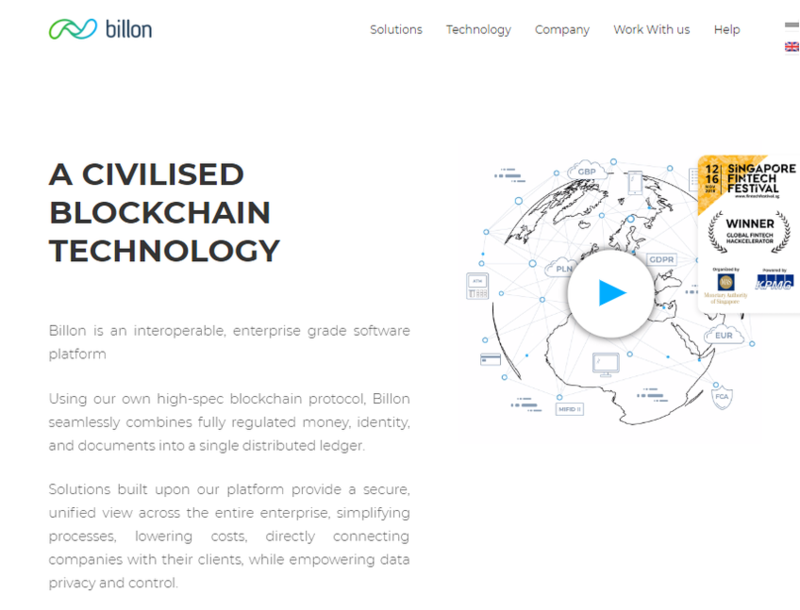 Billon built a new, proprietary DLT technology, which is the first to: a. Digitise national currencies (e.g. GBP) b. Store encrypted documents on-chain (e.g. PDF) c. Combine identity, money, and data on the same platform The technology is optimized for regulated institutional use as a scalable private, permissioned DLT (outperforming cryptocurrency adaptations). It is fully regulatory compliant for both money and document applications.